Foundation Plan: Shows the location of all concrete footings, floor beams, first floor framing, and foundation details. If there is a basement, a basement plan is included which shows all basement details. Roof Framing Plan: Shows roof outlines, conventional framing/trusses, beams, roof framing details, etc. 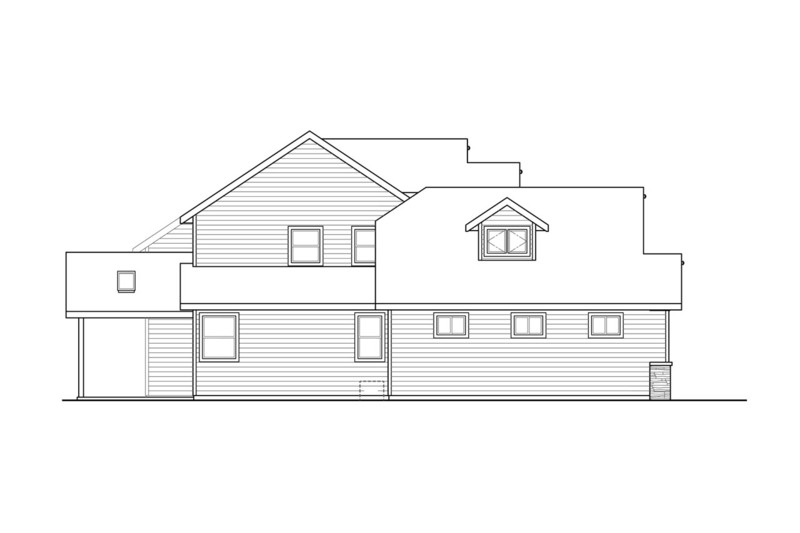 Section & Details: Shows a cross-section of the home. Shows support members, exterior and interior materials, insulation, and foundation. Specific details such as fireplaces, stairways, decks, etc. are drawn at 1/2" = 1' scale, and appear as needed throughout the prints. 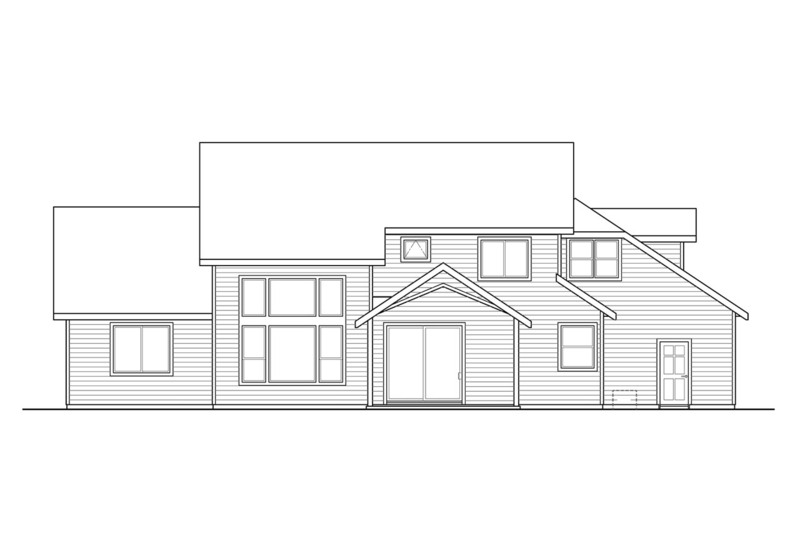 The Craftsman Farmhouse Kinsale brings style to livable functionality. 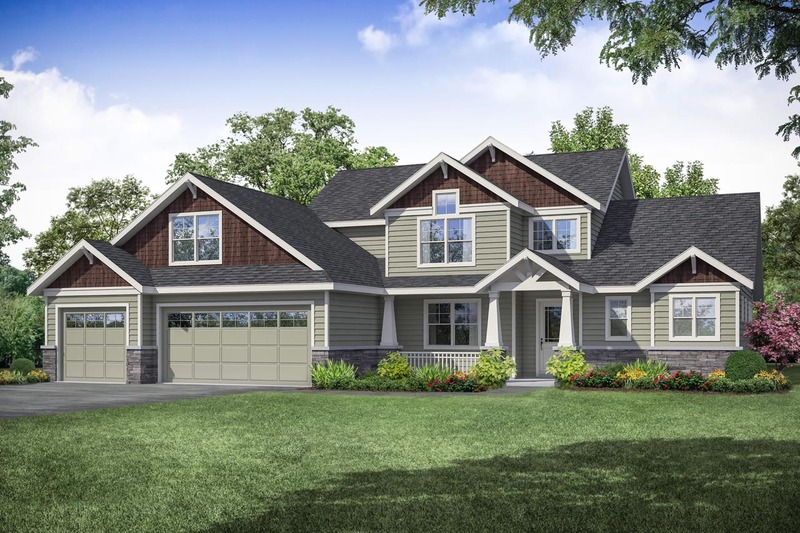 The exterior will bring exceptional charm to any neighborhood with it's cozy covered porches and craftsman accents. 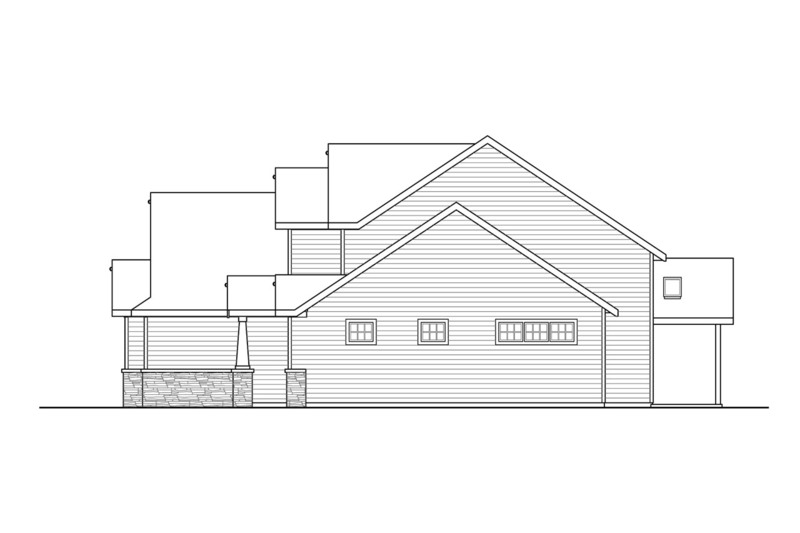 Walking through the front doors into the two-story entry will surely feel welcoming. Just off the entry, elegant double doors lead into a den which could serve as an office, guest room, or library. Continuing through the entry, you walk into a great room, the first space of the open living area. The great room features a fireplace and two-story vaulted ceilings. The open living space also has room for a dining area, distinguished from the kitchen by a large island. Just off the dining room, tucked behind a barn door, is the utility room and entrance to the 3-car garage. The opposite side of the house is dedicated to the owners' suite and bath with two walk-in closets. Up the stairs along the great room leads to two additional bedrooms and a bonus room with kitchenette and built-in desk.